Greer, Arizona at it's 8500 feet elevation and located in Northeastern Arizona. We are in an area known as The White Mountains and only 12 miles from Sunrise Ski Resort. We are in a small pocket of private land surrounded by National Forest land. We worked hard to make this a true fisherman's paradise created by avid fishermen. Now this area has an alternative to the heavy fished lakes in this White Mountain area. 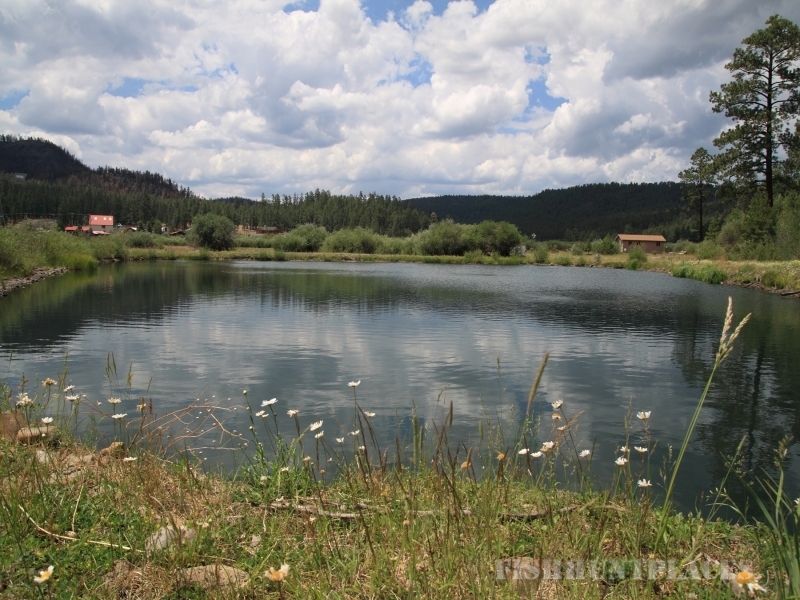 Greer Meadow Lakes offers 3 one acre lakes for catch and release fly fishing with only artificial flies and barb-less hooks. By practicing this type of fly fishing creates large trout because these fantastic fish are placed back in the water and allows the trout to grow even larger. We are utilizing green power for this fish farm by using windmills to aerate these fine waters. We allow up to 8 fly fisherman at one time to keep this area from overcrowding. For larger parties we will rent out the entire 10 acre site. Come and enjoy your family at this amazing place.